Attention parents, some Beech-Nut products may potentially be dangerous for your children and should be returned to the manufacturer for a refund. 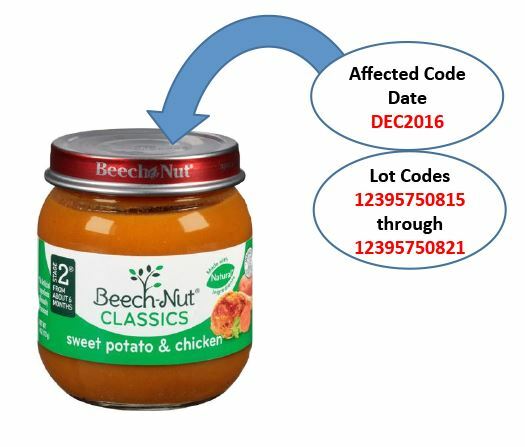 After a consumer found a small piece of glass in a jar Beech-Nut Stage 2 Sweet potato & Chicken, the manufacturer issued a voluntary recall of the product. The recalled product is in a 4oz glass jar marked “DEC 2016” and includes product numbers “12395750815” through “12395750821” on the cap. It bears the establishment number “P-68A” inside the USDA mark of inspection.